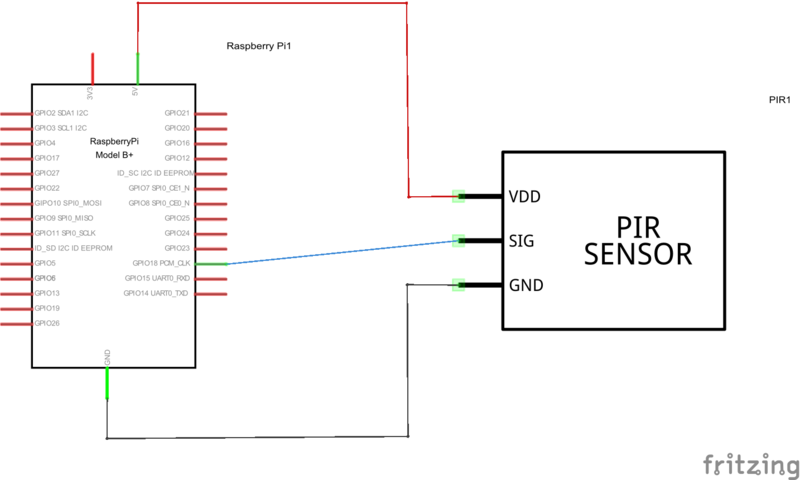 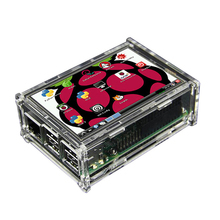 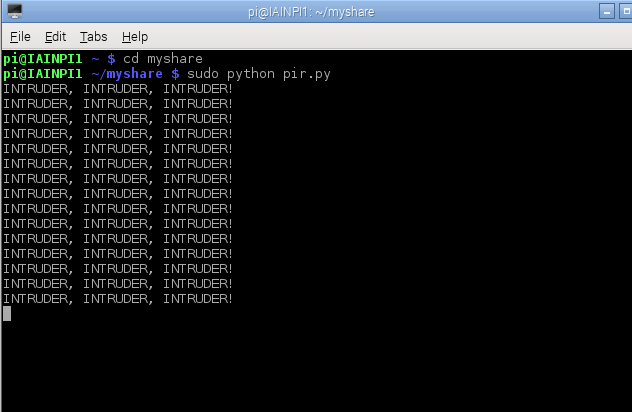 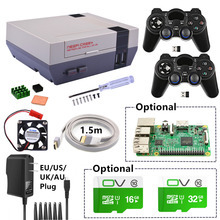 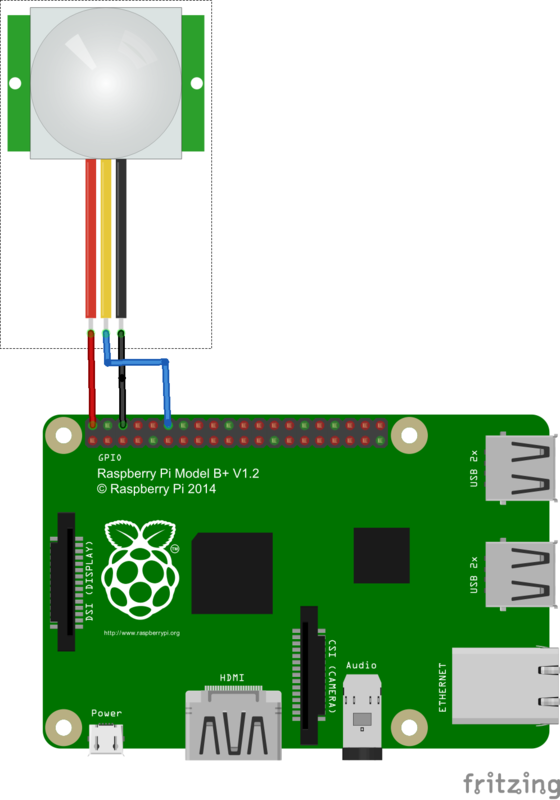 In this example we connect a PIR module up to our Raspberry PI, this is quite a simple module to connect as it requires only 5v, Gnd and the output is PI friendly so does not require any level shifting. 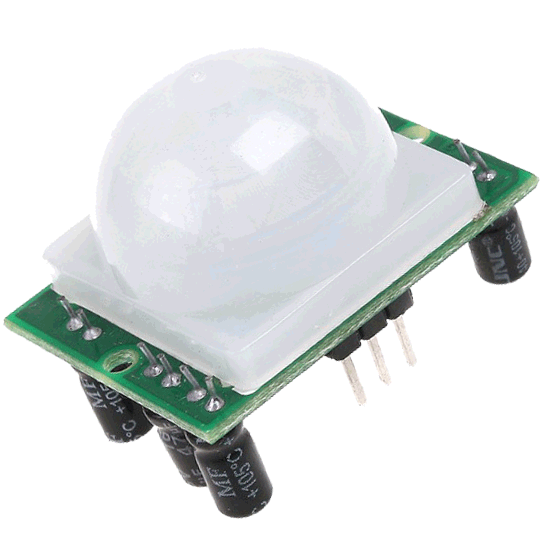 Adjust the distance potentiometer clockwise rotation, increased sensing distance (about 7 meters), on the contrary, the sensing distance decreases (about 3 meters). 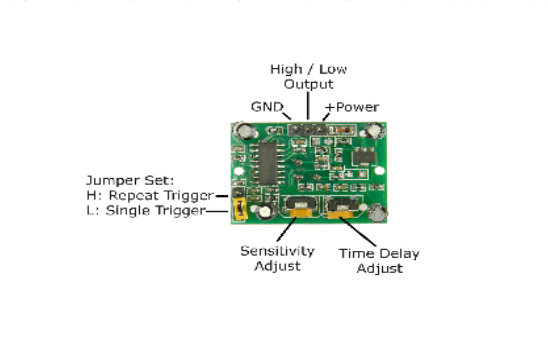 Adjust the delay potentiometer clockwise rotation sensor the delay lengthened (300S), on the contrary, shorten the induction delay (5S).